Peter David Latham (born January 8, 1984 in Te Awamutu, New Zealand) was a New Zealand representative in cyling. He competed at the 2006 Commonwealth Games in Melbourne where along with Tim Gudsell, Hayden Godfrey and Marc Ryan he won a bronze medal in the Team pursuit. 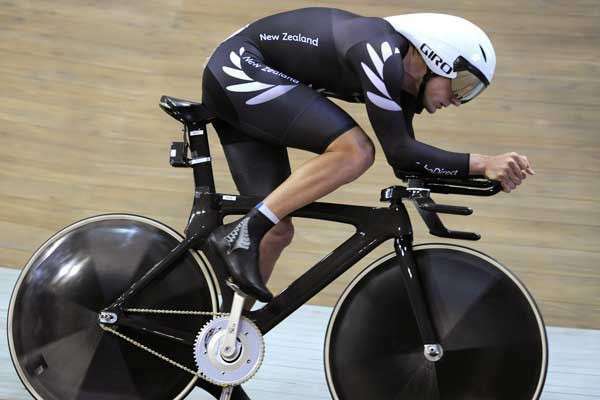 He also competed in the team pursuit at the 2004 Olympic Games, where New Zealand finished tenth, and at the 2009 UCI Track Cycling World Championships, where they claimed the bronze medal. Peter has competed at 10 World Championships and is a medalist at the U23 Road World Championships and two time medalist at the Track World Championships. He is a Commonwealth Games medalist, a two time Olympian and the current record holder for the Lake Taupo Cycle Challenge. 3rd World Track Championships Teams Pursuit 2009, Pruskow, Poland and 2010 Copenhagen, Denmark. Olympian 2004 Athens, Greece. 2008, Beijing, China. World Ranked No 1 Individual Pursuit 2011-2012 Track Season. National Champion Time Trial, Criterium, Individual Pursuit, Teams Pursuit, Scratch Race.